Like all of us, Mr. Man goes through phases. One week a toy is constant and essential, the following week he’s moved on to different distractions. Currently his favorite toy is the Da Bird feather wand, and the Ratherbee Catnip carrot. Last year he went through two of these , aka the “spinny thing” and about a hundred double AA batteries. He was introduced to each of these items by his beloved cat sitter Pat, a true cat whisperer who Mr. Man adores. In the past Mr. Man has also been obsessed with Fat Cat toys, especially the Cocktail Weiner Dog and the Teeny Sardeeny. His sup er special grandpa has also given him several beloved toys including his chick – a favorite since babymanhood. Chick has been through the laundry a few times so she no longer peeps but she is still a good companion for bi rd watching or heat sucking. Monkey, another grandpa gift, is another favorite friend. Grandpa always includes something for Mr. Man in packages. Mr. Man knows this and carefully inspects every box that comes postmarked from New Jersey. 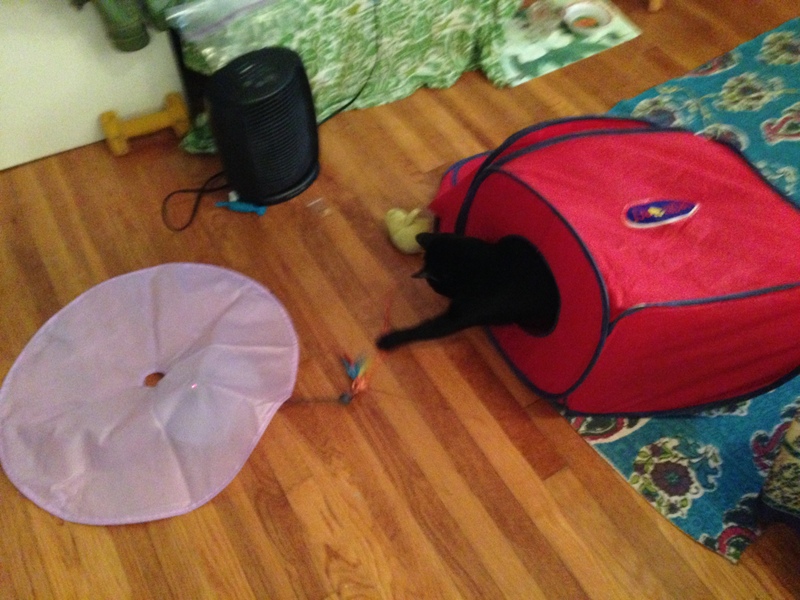 His other most favorite plaything is his red tent, given to him when he was just a babyman. 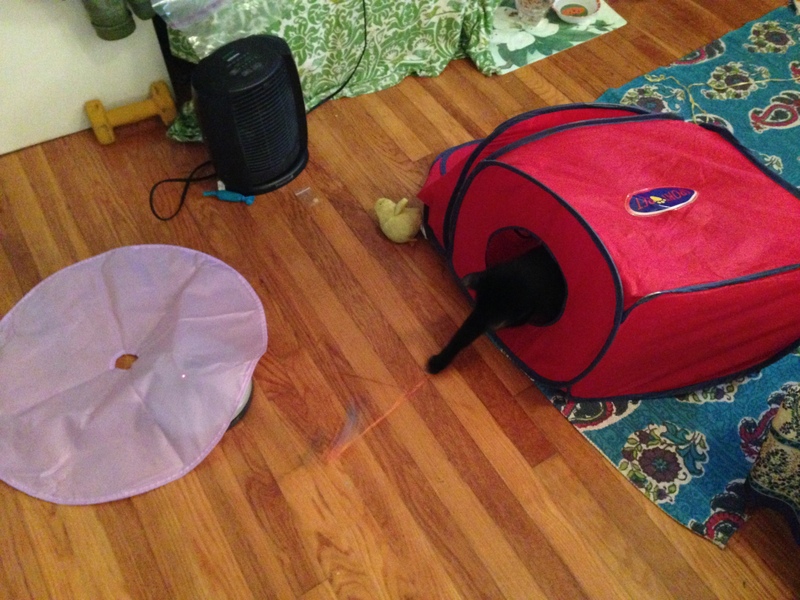 When inspiration strikes, Mr. Man combines tent time with spinny thing play resulting in the chaos pictured below.